Cosy, quiet, bijou, intimate. Enjoy peace and quiet in your own wee hut, providing high quality “me-time”. Off the beaten track but with all facilities conveniently close by. Two dogs are welcome. Dogs must be under supervision at all times as we live in an area full of sheep and other livestock. An outdoor leash is provided, along with throws, bowls and food, dog shampoo if required. 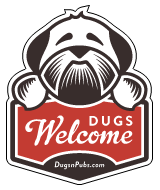 There are a total of 43 dog friendly listings in the Highlands category. Please log in, or sign up as a member to view all listings.